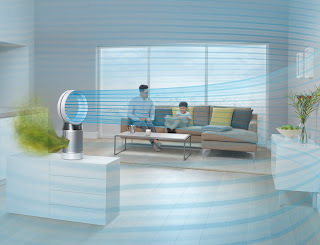 Dyson, global leader in technology and manufactures of battery enabled and autonomous vacuum cleaners, hair dryers, lighting, heating and cooling fans, humidifiers, air purifiers and hand dryers. 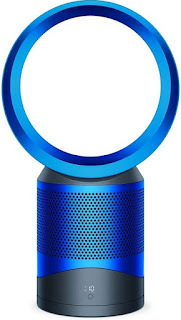 Dyson was founded by Sir James Dyson in the year 1993, and its products are exported from the UK and sold in 83 markets globally. Air pollution is a global conversation, and as awareness rises, attention is moving from outdoor air quality to indoor air quality – where we spend majority of our time. Outdoor pollution sources like pollen, city pollution and particulate matter can enter the home even with closed doors and get trapped. This combined with indoor pollution sources like cooking fumes, cleaning products, pet dander and disintegrated faeces, scented candles and paints can make indoor air quality equally or more harmful than outdoor air quality. Moreover, air pollution in India is now a year-round problem, across the country, contrary to popular myths surrounding the issue, including the fact that pollution is a seasonal or regional issue. In fact the air quality is rarely under safe levels as prescribed by World Health Organization 1  . And 14 out of 15 most polluted cities in the world in terms of PM 2.5 are in India, as per a recent WHO report 2 . Dyson’s new range of air purifiers use intelligent sensors to automatically detect and display, in real time, pollutants such PM 2.5, PM 10, VOCs and NO2 in the home making the invisible now visible.